In this video tutorial we will show you how to convert excel to jpeg online. In order to convert an excel file to jpeg, open the web browser. 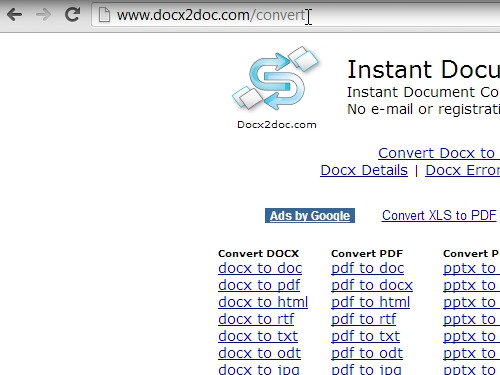 Go to “docx2doc.com/convert”. 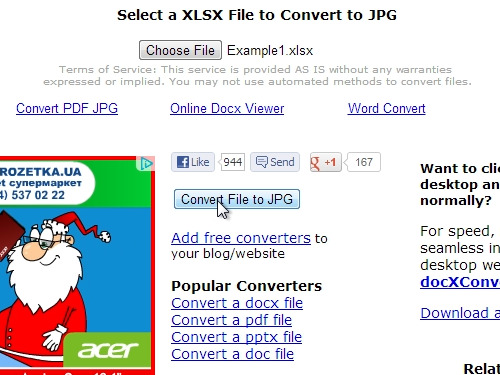 On the opened web page choose “xlsx to jpg”. On the following web page, press “choose file”, select a file from your hard drive and press “open”. Then click “convert file to JPG”. 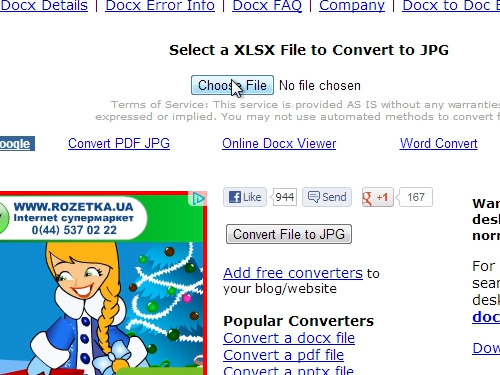 After the conversion is complete, press “Open or save your jpg file” to save you newly converted JPG file. Click on the downloaded file to see the results.